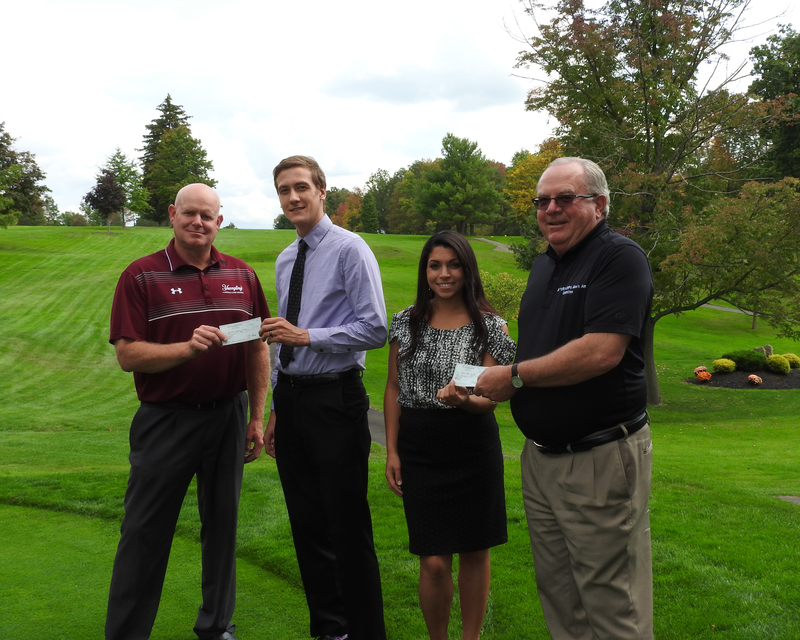 The 81st annual Southwestern New York – Northwestern Pennsylvania Men’s Amateur Golf Tournament has donated $18,000 to it’s two primary beneficiaries, HomeCare & Hospice Foundation and The Rehabilitation Foundation. Each agency received $9,000 making a total of $300,000 in donations from the tournament over the past 18 years. Also this year, $750 (John R Henzel Scholarship Fund) was given to Heather Haas of Cuba to put towards her college career. Presenting the checks from left to right are Greg Gibbons (Tournament Committee Member), Nicholas O’Keefe (Development Coordinator at HomeCare & Hospice), Elena Bombardier (Director of Development at The Rehabilitation Center), and Jon Kirk (Tournament Committee Member). Next years tourneys dates are August 1st thru August 5th. For more information on the tournament go to http://www.swnynwpa.com. ← Next Year’s dates for the tournament will be August 1st thru August 5th, 2018.